The satisfaction of preserving foods yourself. However, preserving food at home may not save you money, depending on costs of buying or raising the food, the needed equipment, energy and time. Canning is the process in which foods are placed in jars or cans and heated to a temperature that destroys microorganisms and inactivates enzymes. This heating and later cooling forms a vacuum seal. The vacuum seal prevents other microorganisms from re-contaminating food within the jar or can. 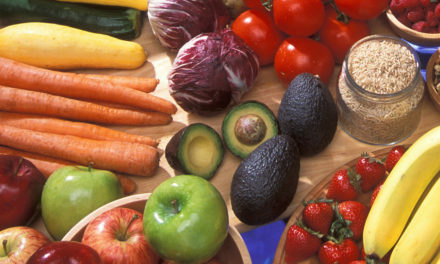 High-acid foods such as fruits and acidified tomatoes can be processed or “canned” in boiling water, while low-acid vegetables and meats must be processed in a pressure canner at 240°F (10 pounds pressure at sea level). For more information about canning foods in a boiling water bath or a pressure canner, request HGIC 3040, Canning Foods at Home. Pickling: Pickling is another form of canning. Pickled products have an increased acidity that makes it difficult for most bacteria to grow. Pickled products are also heated in jars at boiling temperatures to destroy other microorganisms present and form a vacuum in the jar. Jams & Jellies: Jams & jellies have a very high sugar content. The sugar binds with the liquid present making it difficult for microorganisms to grow. To prevent surface contamination after the product is made and possible yeast or mold growth jams and jellies are canned, frozen or refrigerated. Freezing reduces the temperature of the food so that microorganisms cannot grow, yet many still live. Enzyme activity is slowed down but not stopped during freezing. Enzymes in Vegetables: These must be inactivated by blanching to prevent loss of color, flavor and nutrients. The vegetable is exposed to boiling water or steam for a specified time and then quickly cooled in ice water to prevent cooking. Blanching is essential for top quality frozen vegetables and helps to destroy microorganisms on the surface of vegetables. Enzymes in Fruits: These can cause browning and loss of vitamin C, and are controlled by the addition of ascorbic acid. 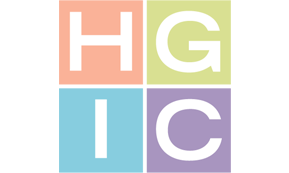 For more information, request HGIC 3060, Freezing Basics, or HGIC 3063, Freezing Fruits and Vegetables. Drying removes most of the moisture from foods. Thus microorganisms cannot grow and enzyme action is slowed down. Dried foods should be stored in airtight containers to prevent moisture from rehydrating the products and allowing microbial growth. For more information, request HGIC 3080, Drying Foods. Open-kettle Method: This outdated method of canning is now considered unsafe. In this method, foods were heated in a kettle, then poured into jars and a lid was placed on the jar. No processing was done. With this method there was often spoilage because bacteria, yeast and molds that contaminated the foods when the jars were filled were not killed by further processing. The growth of these microorganisms, in addition to spoiling the food, often caused any lids that did seal to later come unsealed. This method resulted in a very real danger of botulism. Steam Canning: This is a newer method of canning that is not considered safe at this time. The jars are heated by steam. However, safe processing times have not been developed and steam canners are NOT recommended for either high- or low-acid foods. Low-acid foods canned in these canners are potentially deadly because of possible botulism contamination. Also, both low- and high-acid foods are often underprocessed and therefore could spoil. Other Unsafe Methods: Canning food in the microwave oven, electric ovens, slow cookers or crock pots can be extremely dangerous, especially with low-acid foods, and is not recommended. So-called canning powders are useless as preservatives and do not replace the need for proper heat processing. As altitude increases, water boils at lower temperatures. Because the lower temperatures are less effective for killing bacteria, processing time must be increased for boiling water bath canning at higher altitudes. For pressure canning, the pressure is increased. The directions for canning foods are usually for an altitude of 0 to 1000 feet. If you are canning at an altitude over 1000 feet, check for altitude adjustments needed for canning each type of food. Ask your county extension agent to help you determine your altitude or check with your local airport. Don’t taste or use food that shows any kind of spoilage! Look closely at all jars before opening them. A bulging lid or leaking jar is a sign of spoilage. When you open the jar, look for other signs, such as spurting liquid and off-odors or mold. Spoiled canned foods should be discarded in a place where they will not be eaten by humans or pets. Spoiled meats, seafood and low-acid vegetables, should be detoxified to destroy any poisons that might be present before they are discarded. To detoxify canned low-acid foods that have been spoiled, carefully remove the lid from the jar. Be extremely careful when following these directions not to spread or come in contact with suspect food or liquid. Place the open jar(s) of food and the lids in a saucepot. (No need to remove the food from the jar — removing it could contaminate other items.) Add enough hot water to cover the jar(s). Boil for 30 minutes and then cool. Drain water and dispose of food and lids. The jars may be reused. Because improperly canned low-acid foods can contain botulinum toxin without showing signs of spoilage, they should also be detoxified and then discarded. Surfaces that come in contact with spoiled or questionable food should be cleaned with a solution of 1 part chlorine bleach to 5 parts water. Wet the surface with this solution and let stand 5 minutes before rinsing. 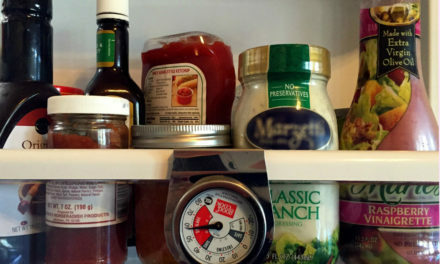 It is possible to preserve food at home for people who are watching their salt or sugar intakes. Simply use methods that don’t require sugar or salt for their preservative properties. If preserving food for someone trying to cut sugar consumption, the food may be dried, or fruits may be canned or frozen in water or juice instead of a sugar syrup. The sugar specified in canning and freezing is only needed for its effects on flavor and texture. There are also many pickle recipes that call for little or no sugar. Sugar is the major means by which most jams, jellies and preserves are safely preserved. These products are not suitable for a person on a low-sugar diet. However, there are special low-methoxly pectins and recipes designed to make jams and jellies with no added sugar. It is also possible to preserve food at home for people who are watching their salt intake. The salt used in canning, freezing or drying foods is used only for its flavor or color protection quality. Pickling, especially when fermentation is involved, usually requires salt for preservative effect. Read the recipe. If it calls for a large quantity of salt, this cannot be eliminated or replaced with a salt substitute. However, if the recipe calls for a large amount of vinegar and only a teaspoon or two of salt for flavor (not soaking), the salt can be left out.